Duke star Williamson left Wednesday's matchup against North Carolina inside a minute and did not return midweek. 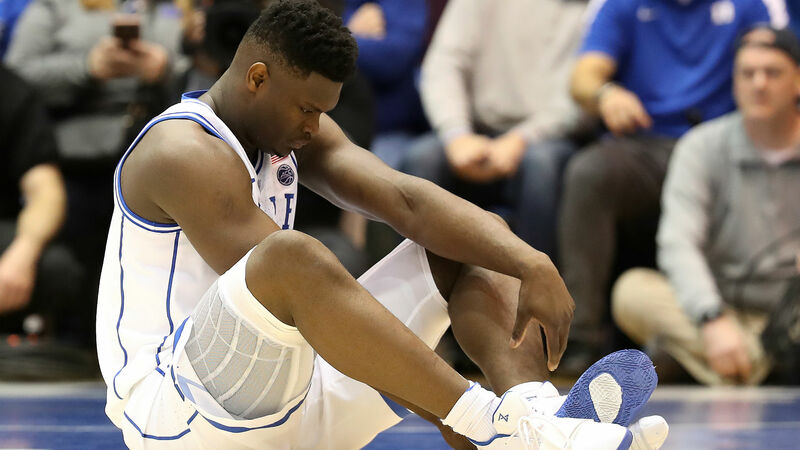 The 18-year-old freshman suffered the injury while dribbling toward the basket about 40 seconds into the game when his Nike sneaker ripped. Williamson fell to the floor and grabbed his leg before heading to the Duke bench and then the locker room. Hope young fella is ok! Literally blew thru his . NBA great James reacted on social media, writing via Twitter: "Hope young fella is ok! Literally blew thru his [shoe]." Williamson has been one of the best players in college basketball this season and he is expected to be selected with the number one pick in the 2019 NBA Draft.